Does it ever occur to you what your visitors may think about your kitchen each time you invite them over for a snack? How do you actually feel about how it looks? Does it provide a relaxing and comfort ambiance? Is it more inviting than any of the parts of your house? Whatever the reasons are, it is important that you turn your kitchen into a more calming space since this is where you prepare the meal for your family and friends. Creating a relaxing ambiance could contribute more positive outcomes on your meal. Did you know that by creating a calming space on your kitchen, you will be able to cook dishes easily? Yes, that’s right! Just imagine cooking in a crowded and gloomy kitchen. Have you envisioned the results of your cooked meals? A complete disaster! So read on and find out how you can make your kitchen more pleasing. 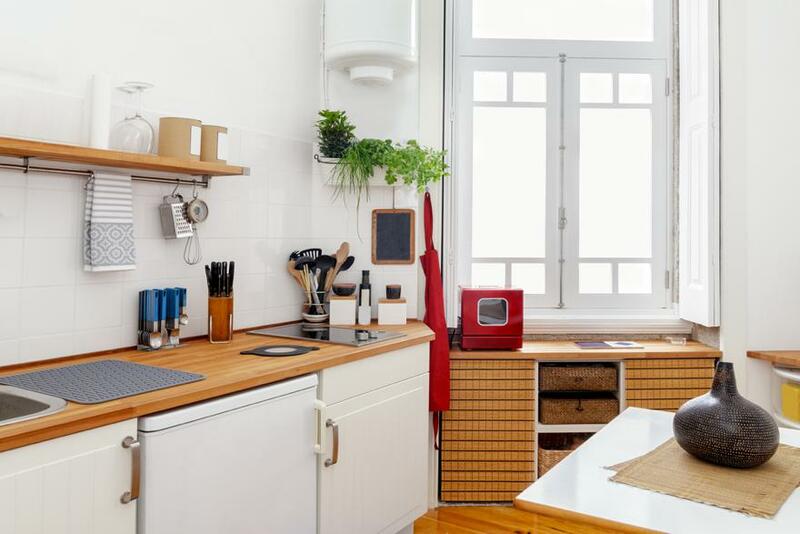 Just like the other parts of your house, you should also consider your kitchen. Bear in mind that this is the main part of your house where you prepare and cook your meals every day and night. So to start, make sure that the color of your kitchen is appropriate. When we say appropriate, the walls should not be in dark shades so you will be able to see your food easily under the light. If you love to bake then you must have enough space so that you can prepare your cakes and breads as well as where you will place your oven. There is nothing more stressful than to see that kitchen clutter. Your kitchen should have a storage where you must put your plastic ware such as containers, utensils and glassware. You will find amazing deals for products in the market where you can put all that mess away without taking them all out from your kitchen. You should still store them in a place where you could get them easily in case you need them. If you wish to create a relaxing ambiance in your kitchen then never hang those terrible knick knacks around that could only bring out bad memories. While a nice way to remember, don’t cover your fridge with bills and urgent remindersones that will stress you out after a long day. Choose magnets of different countries instead, reminders of trips you have planned or have already traveled to. These can actually bring a lot of wonderful memories. Make sure to be more careful on your décor. This will add more kitchen ambiance that will inspire you to cook more delicious meals for your family and friends. There are those quotes engraved in wood and metal which you can easily be easily purchased online or in a shop. Find those kitchen quotes, or even your life quotes, and place them on the wall of your kitchen where you can always get to read it. This will not only help uplift your spirits but even your guests will be able to feel the welcome atmosphere in your kitchen. One of the best ways to calm your kitchen is to bring nature inside. You don’t have to plant the entire tree inside! Why not plant some herbs in those cute little pots and place them in the window sillor maybe you can have them in recycled glass bottles to add more color and vibrancy in your area? Some actually even hang some acorns in their kitchen to make the air feel more like nature. Bear in mind that nature can help calm your mindso better incorporate it into your kitchen. There is nothing more fun and exciting than to redecorate your kitchen. Appliancereviewer.co.uk is a great place to start if you’re thinking of new appliances. With these helpful tips, soon you will be creating a calmer and more inviting kitchen. Your family and friends will certainly love it and who knowsthis might even inspire you to become a successful chef someday. Sara is an expert reviewer and writer at Appliance Reviewer – a comprehensive and unbiased online guide, which helps readers to buy the right appliances for their home. She moved from Manchester to London where she studied electronics. At the same time, she was working as a freelance writer and also pursued her passion to be an independent interior designer. After graduating from university, she worked for over 10 years as an electronic engineer, consulting with some of the largest appliance manufacturers around the world. Sara has since joined the team at appliancereviewer.co.uk where she uses her vast knowledge of style and functionality to write about the best home appliances available on the UK market – Helping her readers to make an informed decision on their investment purchase without having to try each item first. When she isn’t writing or fixing things around the house, Sara can be found enjoying live music with her friends, or relaxing in front of the fire with her dogs.